Since the beginning of the century, religious matters have emerged as a critical issue in national and international political agendas. 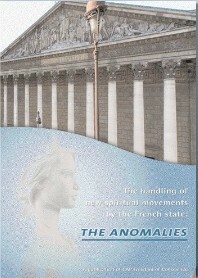 However, starting in the 1980-1990s, a question started preoccupying certain European States: the emergence of new religious and spiritual groups coming from abroad, from Northern America or the East, or the spontaneous appearance of new spiritual movements, besides traditional Churches and worldviews well integrated in society. Some isolated violent acts that were committed in relation to a few unknown groups on several continents, including Europe, were then largely covered and exploited in the media, creating public concern. This gave the political authorities of certain European countries, mainly French or German speaking, the opportunity to claim a threat to public order and security of citizens to put in place “anti-sect” policies designed to fight against minorities they deemed undesirable. France started financing private anti-sect organizations to fight against the abuses allegedly committed by such groups, the abuses consisting mainly, after a deep and thorough review, in spreading beliefs considered as deviating from tradition and norms. The French authorities also financed a French initiative of a European federation to gather similar groups in various EU countries. 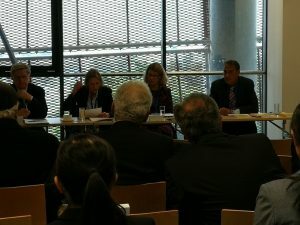 Scholars and lawyers from five European countries have studied this phenomenon and documented how the collusion with and support to traditional Churches to eliminate religious minorities is a violation of the duty of neutrality of European States in religious matters under international human rights law. But it mainly infringes the sacrosanct principle of Laicité of the French State provided in its Constitution.